Dave Clark: "I'm not going to hide away"
Dave Clark is a television presenter from Yorkshire, UK, who has covered the world’s biggest sporting events for 30 years. He was diagnosed with Parkinson’s in 2011 – and has since raised over £200,000 for Parkinson’s UK. Sports television presenter Dave Clark approaches his condition in the same way he approaches his work – in a calm and authoritative manor. During his 30-year career in sports broadcasting, Dave has covered some of the world’s most significant events, from Nelson Mandela wearing the Springboks jersey at the 1995 Rugby World Cup to Muhammad Ali lighting the Olympic torch in Atlanta. 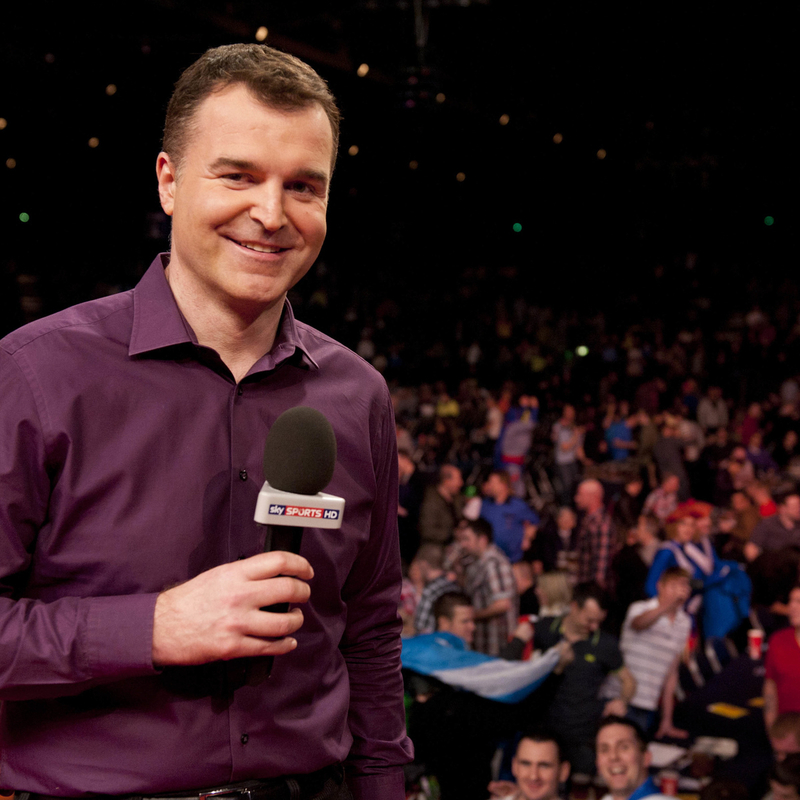 Since 1998, he has worked mainly with Sky Sports, presenting football, boxing and darts to an audience of millions. Dave was diagnosed with Parkinson’s disease in January 2011 but did not go public with his condition until 2013. Like most people who find themselves in Dave’s position, he had never considered that he might have a neurological condition. Dave knew about Parkinson’s because his father had lived with the condition – meaning he’d seen first-hand the severe impact the condition can have on a person’s life. Tragically, when Dave was just 17 years old his father took his own life – an experience that Dave is determined to learn from in the way he approaches his own condition. It’s Dave’s refusal to give up that fuels his battle against Parkinson’s every day. He was initially told he would only be able to work for two more years after his diagnosis – but it’s now seven years later and he has just started a 16-week darts tour which will take him the length of the UK. 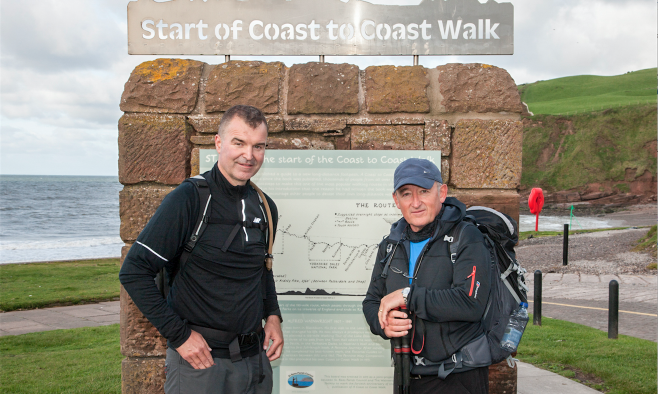 Last year he raised over £200,000 by taking part in a 200-mile walk for Parkinson’s UK. 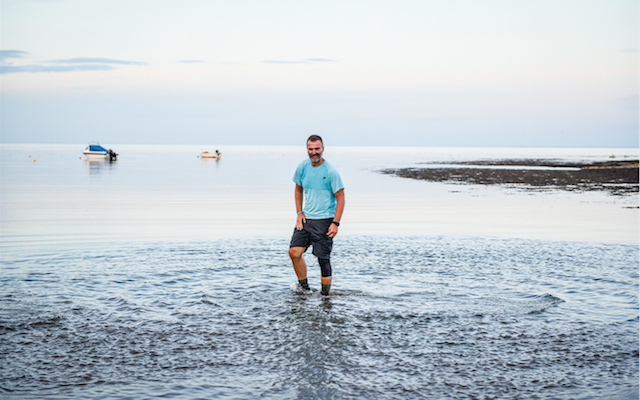 Dave has also made it his mission to inspire others not to give up – a message he says has been well received by the rest of the Parkinson’s community. “I was in Belfast recently and a man approached me and thanked me for saving his uncle. He said by going public and being so proactive about my condition, I had inspired him to keep on fighting,” he says. This lack of awareness is something that Dave is all too familiar with, having had his own condition misunderstood. In December last year, he was the subject of an insensitive tweet from bookmaker Ladbrokes – who boasts a social media following of 196,000 – in which they made a joke about Dave having a murderous facial expression. 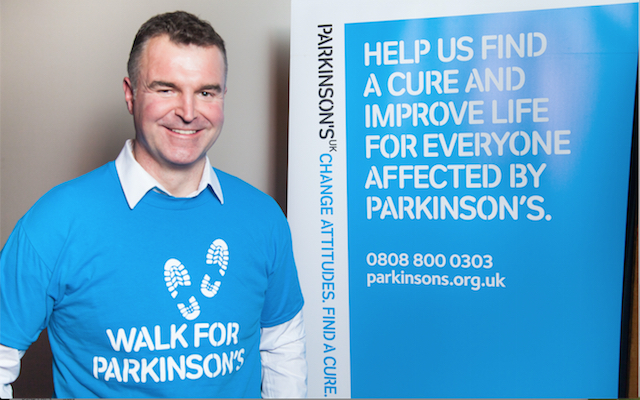 Dave says the whole experience reiterates the need to fight the stigma surrounding both Parkinson’s and other conditions. Thankfully, the experience did have a positive conclusion. Ladbrokes apologised unreservedly and made a significant contribution to Parkinson’s UK. He was also met with support on social media, including a reply from friend and former England striker Alan Shearer. Moving forward, Dave is very much focused on his work, and spending quality time with his family. However, it doesn’t look like Dave will be falling below his own – or anyone else’s – standards anytime soon. At the annual darts awards dinner it was announced that he will be inducted into the Professional Darts Corporation Hall of Fame.